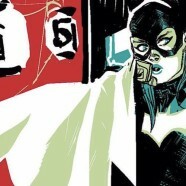 Home » Comic Books » Tuesday Night Comics Podcast 116 – The New Fifty-Tues! Salvation Run! Tuesday Night Comics Podcast 119 – Wonder Woman: Earth One! Tuesday Night Comics Podcast 118 – Rogue One! Outcast! KIRKMAN! Tuesday Night Comics Podcast 116 – The New Fifty-Tues! Salvation Run! DC made a whole bunch of Rebirth announcements this past week at WonderCon, and we’re ready with the final installment of what we’re calling The New Fifty-Tues, where Billy and Dave pitch titles and creative teams for the Post-Rebirth DCU! This week on the Tuesday Night Book Club the villains take over as Billy and Dave review DC’s Salvation Run. Did it live up to the hype in Billy’s mind? Plus, our picks for new comics coming out Wednesday, 3/30/16 and reviews of the comics we’ve read recently.